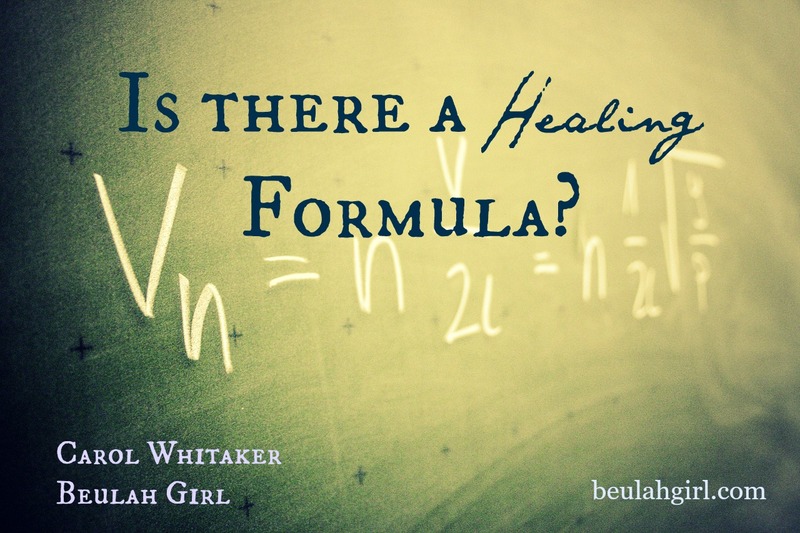 Part One: Is There a Healing Formula in the Bible? I started a series on healing last week, and I want to continue it this week by looking at a passage in John 5 where a crippled man is healed. I never noticed this passage until recently. About a month ago, I felt drawn to read the accounts of healing in John, and I was astounded to see similarities in the John 5 and John 9 passages — similarities that closely correspond with my own healing experience. I want to share a few of my observations on both passages in the next few weeks, and perhaps some of what I am saying can illuminate some things for you in your own situation. In John 5, Jesus approaches a man lying by a healing pool. Apparently, the pool was one where the sick (including the blind, lame, and paralyzed) would come for healing. As legend had it, in a particular season, an angel would descend and stir the waters. Once the angel had stirred the waters, the angel would leave, and it was up to the diseased to get in. The first one in the pool would get the benefit of the medicinal qualities in the water. The man whom Jesus approaches has had no such luck; his friends have all had the benefit of getting in the water, but he has been left behind. When Jesus comes up to him, Jesus asks him if he wants to be healed. The man complains that no one has helped him in the waters, but Jesus doesn’t need the water to heal him. He tells the man to “get up” and carry his mat. The man does so and is able to walk after thirty-eight years of being paralyzed. He then goes out into the streets and is questioned by Jews as to the man who healed him. Several important things should be noted about this passage. 1. The man was most likely crippled because of sin. This may be a highly unpopular way to start this discussion, but one thing that we can learn and observe by reading the account of the cripple’s healing is that it shows us that there can be a connection between sin and illness. This idea is implied because after the healing, Jesus finds the man at the temple and says, “See you are well again. Stop sinning or something worse may happen to you” (John 5:14). In my own experience, my unforgiveness and unresolved anger in the past has brought on problems of severe depression and other physical issues. The sentiment in most Christian communities is that our sin has no affect us because of Jesus’ work on the cross; however, while it is true that we are under no condemnation as Christians (Romans 8:1), this passage suggests the correlation in certain instances between sin and sickness. 2. The healing begins with a stirring of the waters. The healing in the passage started with a “stirring of the waters.” It’s not clear whether the angel that came down to stir the waters was legend or truth; however, what is understood is that the angel descended only at a particular season and it was the job of the diseased to “get in” (John 5:7). What this has felt like for me has been a “stirring” or churning in my heart during a church service, and I have felt the need to get out of my seat and go down to the altar for prayer. As I have received prayer, I have felt a directive about an apology I need to make or a resentment I need to let go of. For whatever reason, the stirring initiated the process. On a larger scope, I have recently very much been on a journey these past few years to allow God to reach some of the broken places in me that haven’t been touched in previous experiences. And the stirring has been more of an outside force — a violent storm taking place in my life with me at the bottom of it. I’ve been confused and scared. But in the midst of the chaos, God has stepped in and chosen to use the undoing — the spinning of elements out of control — to be the starting place for an emotional healing. 3. Jesus may use means that do not make any sense to us in our healing. For our crippled man in the passage, Jesus came directly to him. The cripple voiced the fact that many of his friends had been healed, and he had never been able to get in the waters. I searched long and hard for an interpretation of this, and I couldn’t find much. But a few things came to mind: Jesus sought him out when he thought his opportunity had passed him by. Jesus did not leave him behind. And what also very much stands out to me is that the man had a very narrow idea of the method in which he would be healed. He fixated on the one way he thought that it would happen for him: He believed that he had to be the first to get in the healing pools (John 5:7). We are all by nature impotent folks in spiritual things, blind, halt and withered — but effectual provision is made for our cure if we will but observe orders. All we have to do is “observe orders” by reading the Word and putting ourselves in a position to hear from God to do what He says. However, even if we have completely screwed things up, He still comes for us. Quite frankly, in my journey of inner healing these past few years, I feared that my chances for God using me had passed me by. I knew I had made bad choices earlier in my life, and I didn’t know that God would open any more for me. But even as I had squandered some of my earlier opportunities, God has found me in a similar way that He found the lame man and given me some steps to get free. 4. You may have to participate in the process. As Henry notes, “Christ is willing to heal, if we be but willing to be healed.” And again, we see the implied connection between the man’s sin and his infirmity. Jesus is God. He can do anything He wants to. He can heal people in multiple ways through multiple means — with just a snap of his fingers. And often He does. However, what I have found to be true in my experience is that God has asked something of me. When my infirmity or brokenness is spiritually rooted, I have to repent of the sin to be healed. The way it has happened for me in my most recent journey is that He has presented me with some things to do in digging back in my past — make some contacts. That has been the “getting up” in my process. As I finish with one, another pops up. I haven’t wanted to do them, and I haven’t even really understood all the reasons why God has given me the directives that He has. I can’t tell you how many times people have told me that I didn’t have to do anything because of God’s grace. But what I think can be said about that is that my journey has not been about earning forgiveness or earning God’s favor — it has been about obedience. As I have been obeying God, He has begun to work in me supernaturally to bring about change. 5. He didn’t get up in his own power — He got up in Christ’s power. Even in our action, it is still Christ’s power which enables us to walk. Jesus will not take the steps for you. He will point you the way, show you the step, meet you in the act of faith. But there is a movement on our part that has to happen. We see that just as there is a “getting in” component of the sick into the healing waters, there is a “getting up” component to Jesus’ command. Jesus can heal people any way He wants to and there is not necessarily a formula that Jesus uses every time He heals in Scripture; however, we can observe some of the steps that occur in His approach to the lame man and recognize how we can allow those to be implemented in our own lives. It can be really scary to read a post like this because the enemy wants to get into your thoughts and condemn and accuse, but we should notice how compassionate Jesus was in this story. He wasn’t concerned with accusing the man; he was concerned with healing the man. One of my favorite verses is Romans 8:1 because it reminds us that we are forgiven no matter what we’ve done. If you feel like you have a disease that is spiritually rooted but aren’t sure, ask God and see what He tells you. He promises to give you the wisdom you need (James 1:5). I would also recommend getting prayer at church by your elders or prayer team (James 5:14). In addition, Henry W. Wright’s A More Excellent Way is an excellent resource that gives further insight into spiritually rooted disease. The website biblegateway.com is a free online Bible resource. 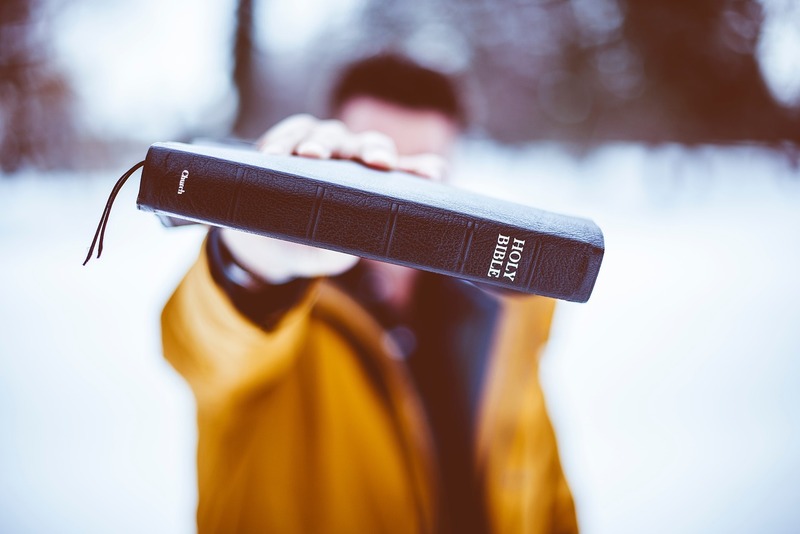 It offers different translations of Scripture as well as notes and commentary (such as Matthew Henry commentary) to better understand the meaning and context of Scripture passages. 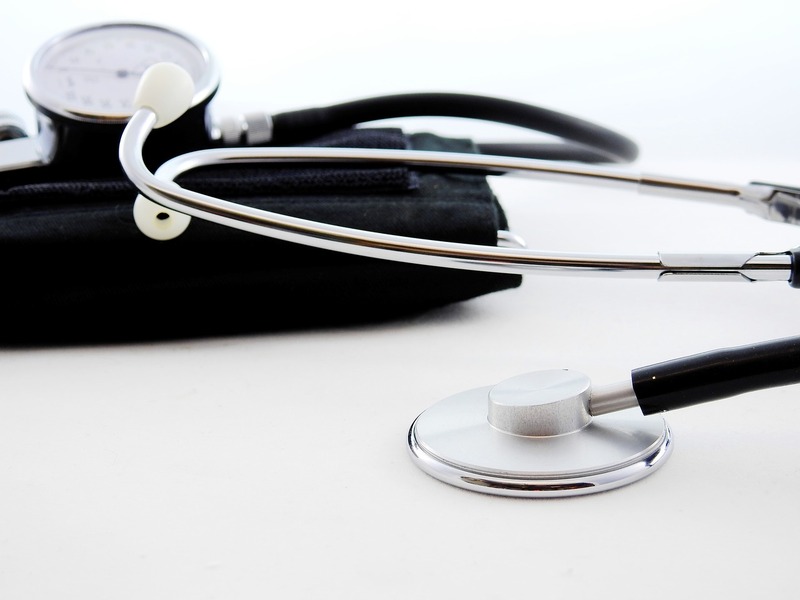 Are you interested in the spiritual roots of many diseases? Henry W. Wright’s A More Excellent Way: Be in Health talks about spiritual causes for many illnesses such as depression and his advice about how to look at disease from a spiritual standpoint. When I attended a larger church campus, I sang in the choir, and we would frequently open up the service with the song “Shackles” (Praise You) by Mary Mary. I always felt like an imposter singing that song. You may be familiar with it, but the lyrics say this: “You broke the chains, now I can lift my hands! And I’m gonna praise you. I’m gonna praise you!” I tried to fake the joy when I sang it because I knew that I was bound up with some shackles inside, and I didn’t know why I couldn’t get to the freedom that other people seemed to be experiencing in Christ. When I started to find healing in some areas and my chains started flying off, I was most surprised that the healing process wasn’t the beautiful, serene experience I thought it would be. It was excruciating. I felt like I was being ripped apart, my insides tearing and rearranging. Because they were. I felt really fearful and light-headed during some hard conversations. I had days where I didn’t want to get out of bed. I felt like something must be terribly wrong that I felt this torn up in the healing process. But something was actually terribly right. If you are broken inside, you be in major denial about the reasons why. You may be blaming others, playing the victim — and not even realize what the problem is until Jesus steps into your circumstance. Healing requires you to face the truth. You not only have to face the truth about you — you may have to face the truth about your situation. 1. You may have to face the reality that not only do you have to change, but some things in your situation may have to change as well. You may have surrounded yourself with people who are telling you what you want to hear — they may have agreed with you as you have been wearing your mask of denial. And some of those relationships may have to be edited and changed. Some awkward confrontations may have to occur as you verbalize how some things you are doing — or they are doing — can’t happen any longer. Our senior pastor once told a story of a man who called him up one day. The man was a drug addict, and he wanted help getting right with God and giving up his addiction. Our pastor talked with him and told him that he was going to have to let go of the friends he was hanging around in order to get serious about getting on the right path. The young person was shocked to hear that he would have give up his friends. He didn’t want his addiction, but he did want his addict peers. I am not sure what the young man decided because when he got off the phone, our pastor never heard from him again. The young man wanted healing, but he didn’t want to change or confront those in his situation that were enabling him to make bad choices. However, he needed to eliminate some toxic relationships in his life so that he could start making better choices. 2. Other people may not understand your journey. Sometimes as you’re walking through healing, you won’t have all the answers, and the painful truth is that some people won’t support you or believe that what you are doing is really for healing. In my own journey, I was questioned by many, advised to go a different route, even mocked. Some people told me that I shouldn’t do what I was doing because by digging up the past, I would hurt people. I felt pretty selfish. But sometimes you have to do what looks self-centered to others to get inner healing. I had to apologize to some people from many years ago and admit some things I had never admitted to — and, yes, in some cases, I did hurt people with those conversations. But those scary deeds needed to come out in order for me to be free. I thought this misunderstanding from others must indicate that I was doing something the wrong way, but I have found that people not grasping what is happening in you is actually pretty normal. Not everyone will get it. And they don’t have to. In John 5 and 9, there are accounts of Jesus healing a cripple and blind man on the Sabbath. Rather than celebrate the restoration of these individuals, the Pharisees mercilessly questioned and insulted the healed persons, condemning their healing experience because it was done on the Sabbath. I have had some similar experiences. I have gotten blank stares, eye rolls, avoidance, and harsh advice that has been hard to deal with because not only have I had to walk the painful steps involved in healing, but I have also had to walk alone without the help of friends for much of it. I have wanted others to share in and support my choices, but that hasn’t always been the case. Jesus called out the Pharisees as the diseased or “blind” ones because they relied on their human understanding in viewing situations rather than allowing Jesus to open up their eyes and give them spiritual insight. Some people in your life will be like the Pharisees — they won’t applaud or celebrate your progress. Instead, they will try to tear you down, and you will have to remain firm in what Jesus wants you to do even if they don’t agree. 3. Healing requires a turning away from broken behavior. Once you face the truth about a behavior that needs to go, you have to turn away from it. And as much as I would like to tell you that it’s easy to do this, it’s really not. The reality is that if you’re broken, you have probably developed some not-so-good behaviors to cope, perhaps some addictive tendencies. And even when you want to let these go — you’ve relied on them for so long to get through, that it’s tough to know how to be you when the behavior is eliminated. In my experience, Jesus hasn’t waved his magic wand over me — I’ve had to work on the behaviors as he has revealed them to me. He’s given me the steps, but I have had to participate in the process. Like the crippled man beside the pool of Bethesda, I’ve had to get up at Jesus’ command (John 5:8). As I have attempted to stir myself, it is then that His divine power has met me and enabled me to pick up my mat and walk. In particular, when Jesus revealed to me that I had a real addiction to approval, I knew that it was true, but turning away from that has been a whole separate thing. I developed that addiction to cope with rejection and gain acceptance. I still battle feelings of rejection, and that is what I naturally want to turn to when I feel insecure or left out. I used to look at drug addicts and alcoholics and think, “Why can’t they just quit?” And now I get the fact that their addiction is something they developed to fill themselves. Without getting healed and free, they still need that substance to deaden what hurts. We all have addictive behaviors we create to feel complete — some involve substances. I turned to people. The truth is that healing requires a cleaning out, a scraping away of the broken places with God’s tools — to make way for the clean indwelling of His presence. He has to dig out and prune and cut to make you into what He knows you can be. The transformation doesn’t happen without any pain. Just like a physical wound has to be cleaned and scabbed over to heal — an emotional wound is similar in that the cutting out process feels really awful before it begins to feel good. But while the physician’s knife slices into uncomfortable places and roots out attitudes and behaviors that are not of God, the end result is a peaceful feeling inside. No torment. No guilt. No agony.